With arrival of the New Year, California drivers will have a variety of new laws to obey that will hopefully make the roads safer and help prevent traffic accidents. 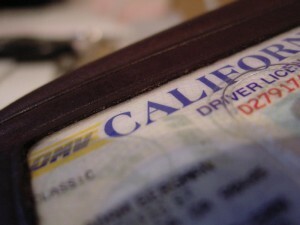 According to the California Department of Motor Vehicles (DMV), at least six new laws will go into effect as of January 1 and will be enforced by police departments and highway patrol across the state. Two laws that are particularly relevant to southern California drivers address dangerous driving behaviors that cause a significant number of accidents each year. While it is prohibited for drivers of all ages to use a mobile device while behind the wheel, whether manual or hands-free, SB-194 targets drivers under the age of 18 directly in order to emphasize the importance of eliminating distracted driving behavior. There have been numerous studies that highlight the dangers of talking or texting while driving, and in many cases, such distracted driving accidents can be prevented. The U.S. Centers for Disease Control (CDC) have found that teen drivers are at least three times more likely to be in a fatal crash than drivers over the age of 20, and the new law is an effort to place a much needed spotlight on ways to protect teenagers and others on the road. Effective September 16, 2014, the Bicycle Passing Distance law will require vehicles to leave at least three feet of space between itself and bicyclists when attempting to pass. Motorists that violate the new law will be subject to fines, ranging from $35 to $200, and if someone is injured, the fine can increase to $1,000. In the event of an accident caused by another’s negligence or wrongdoing, you may be eligible to file a personal injury claim against the at-fault driver for damages. If you have been involved in a traffic collision, The Law Firm of Joseph H. Low IV can help you make an informed decision about protecting your legal rights. Call (888) 454-5569 to speak with an aggressive personal injury attorney in Los Angeles in a free consultation.